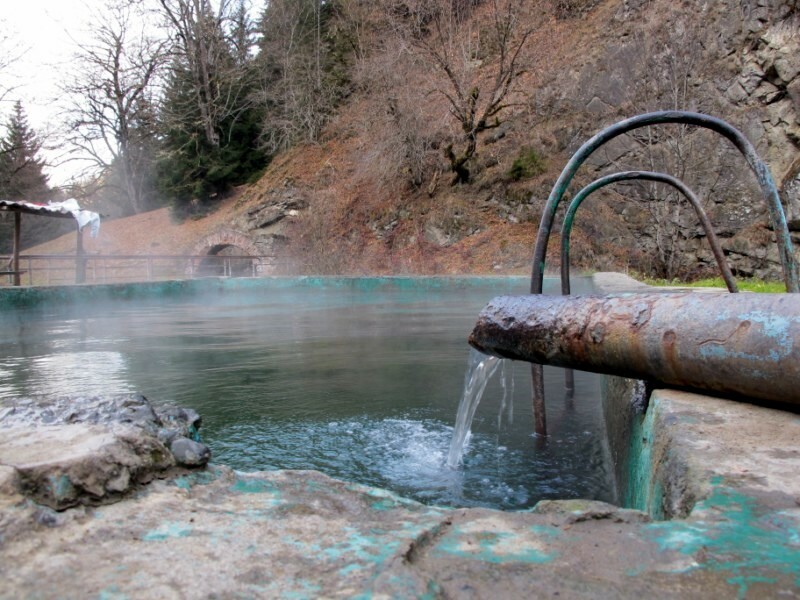 More than 2000 springs are discovered in the territory of Georgia, which were used by local citizens for a long time cures recovers different diseases faster than the medicines. The influence of mineral waters are more increased if it accompanied by air of mountains, sun rails and the green of wood. The spa town of Borjomi, 150km (93 miles) west of Tbilisi, developed by Tsar Nicholas in the 19th century as a spa town, produces much acclaimed mineral water. It is possible to hike in the surrounding hills. The resort Tskhaltubo is located in the west of Georgia, in the ravine of the river “Tskhaltubo”, in 7km from Kutaisi, in 250km from the capital city of Georgia- Tbilisi and in 70km from the Black sea. The resort is located 95-120m from the sea level. The water of Tskhaltubo has become symbol of healthy life for a long time. That is why such unique gift of nature is called “Water of Immortality”. The wholesome influence of Tskhaltubo waters upon organism of the person is famous from extreme antiquity. Nowadays modern medical equipments give us possibility to increase tonus of treatment, preventive measures and organism. Experiment with health-giving sulphur baths in a domed, oriental-style 19th-century bath house just north of the Metekhi Bridge in Tbilisi. Popular with visitors today, Georgian sulphur baths were also frequented by writers such as Pushkin and Tolstoy.